Have you always wanted to discover your family’s roots or explore the towns of your ancestors? Do you just want to see the places you’ve read or dreamed about? Your retirement years are the time to do it! Whether you yearn for rest or excitement, low cost or all-out luxury, one of these five trips is for you. Below are some ideas that range from relaxing to adventurous, cost-conscious to extravagant, with a few in between. Ireland is great for those retirees looking for lush green scenery, picturesque pubs, and friendly locals. A few can’t-miss cities to explore include Dublin, Killarney, Kinsale to the south, Belfast in Northern Ireland, and Dingle. You also should make time to see the green countryside of the Emerald Isle. Drive the 110-mile Ring of Kerry for breathtaking views, historic sites, waterfalls, and beaches. Venture to the seaport town of Cobh in County Cork which was the departure point of the Titanic. If you plan to drive, remember that in Ireland they drive on the left side of the road, and vehicles have right-hand drive which can be a bit confusing if it is your first time. Those who are turned off by this but still wish to drive to the sites may want to hire a driver. A flight from the US to Australia is between 16 and 21 hours, therefore it doesn’t fit most vacation schedules. 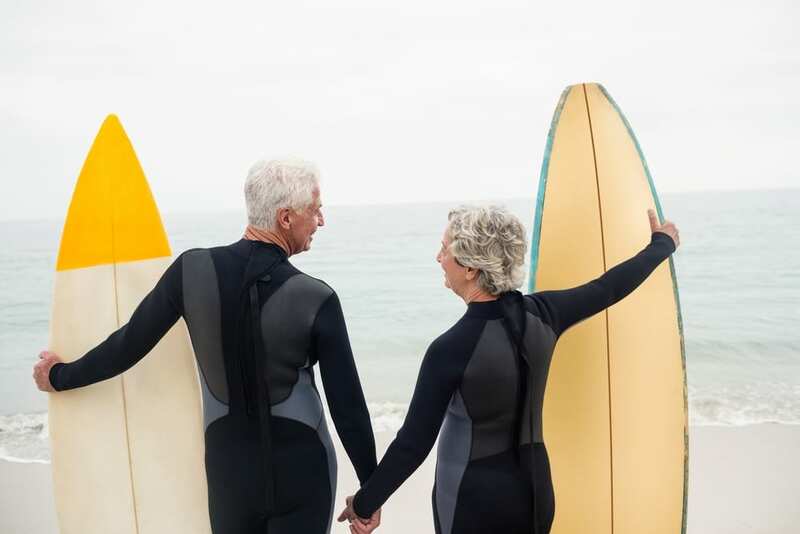 Since you no longer have to stick to a schedule in your retirement years, this is the best time to visit the land down under. In metropolitan Sydney, tour the iconic opera house, then see it from another perspective on a harbor cruise. Walk across the Sydney Harbour Bridge, where you can climb to the highest point of its steel arch if you have the energy (and some extra cash because it costs anywhere from $200 to $400 depending on season and time of day). For nature-lover’s, check out Kangaroo Island’s nature reserve, called Australia’s Galapagos. Here you will find koalas, wallabies, kangaroos, fur seals, penguins, and kookaburras. For those interested in marine life, make time to see the Great Barrier Reef off the coast of Queensland in northeastern Australia. The reef is home to countless species of colorful fish, turtles, dolphins, and sharks. You will want to make time to see Melbourne’s Great Ocean Road as well. Here you will see rugged seashore, jagged cliffs, sandy beaches, and the Otway rainforest. Costa Rica is the land of pura vida which means“Enjoy life and be happy”. Here you can enjoy the natural surroundings of rain forest, jungles, oceans, volcanoes, and hot springs. Lovers of wildlife can expect to find monkeys, sloths, wildcats, whales, reptiles, and sea turtles in their natural habitats. And after a day of hiking, diving, surfing, playing golf, or exploring nature, you can look forward to relaxing on an unspoiled beach. Five-star hotels and luxurious resorts – including all-inclusive options – are located throughout the country, so you can choose the locale to ensure you find what pura vida means to you. Want to leave the driving to someone else? A luxurious journey through the Canadian Rockies aboard one of Rocky Mountaineer’s luxurious and comfortable, glass-domed railway cars might be for you. You can even even add an Alaska cruise to your itinerary. Several options are available, for example the “Coastal Passage Canadian Rockies Getaway,” a 12-day trip with five days on the Rocky Mountaineer. This will take you from a tour of Seattle to Vancouver, with stops in Jasper National Park, Lake Louise, and Banff National Park. This island on the southern tip of Italy is an exciting destination for diving into your the past of your ancestors. Many Italian-Americans trace their roots to Sicily as a result of migrations that occurred in the late 1800s and early 1900s. Palermo, Sicily’s capital, is a lively city with colorful outdoor markets, spectacular cathedrals, and delectable street foods, including fried rice balls called arancini. Enjoy them with Sicilian wines, many from vineyards near Mt. Etna, Sicily’s active volcano. Unique and inviting cities along the coastline and interior offer something for everyone. Tour the ancient ruins of Agrigento and Siricusa, among other cities, which offer a testament to the history of this island. In conclusion, do not fret if you have a list of dream trips that your busy schedule doesn’t currently allow for. You have your retirement years to look forward to!